For those of you who don't know me, when I'm not helping people find homes I'm trying to help pets find homes. 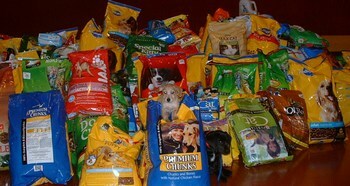 The Humane Society of Southeast Texas serves the entire Southeast Texas area and parts of Louisiana. Thousands of dogs and cats are brought to the shelter each year hoping to find "forever homes". This video shows a small bit of the rescue work that was done by the Humane Society after Hurricane Ike. Over 350 dogs, cats, puppies and kittens were located, rescued, and transported to the shelter for food and emergency care. If you are looking for an addition to your family, please look at the wonderful animals at the Humane Society. You really can save an animals life. Southeast Texas Dogs and Cats Need Homes Too. Finding homes for people is my profession. Finding homes for homeless dogs and cats is my passion. A wonderful organization that finds homes for animals in Southeast Texas is The Humane Society of Southeast Texas. It serves all of the Golden Triangle. It is the only Humane Society in all of Southeast Texas. Over 5,000 animals a year come through the doors. All of them hope to find a home. A lot of them do find new loving homes. However, some aren't as lucky. Right now the shelter is hosting an adoption special. To coincide with "Black Friday" all black dogs and puppies can be adopted for a reduced adoption fee. The fee that is collected helps cover the cost of spaying and neutering the animal before he/she goes to a new home. If you have a home think about how good that feeling is. If you can give a home to a homeless animal image how that would make you feel. If you are a soft-heart you might have a hard time watching the video. You will see a lot of lonely faces just wanting a home. Animal lovers in Southeast Texas are appalled by the actions of Animal Control as reported by The Examiner. The story is not for the soft-hearted either. Now, if that story doesn't make you want to donate to help with animal over population then nothing will. So if I can't help you find a new home, then I'm sure the Humane Society would be able to help you find a really cute dog, cat, puppy, or kitten to go with the home you have. If you don't have room in your home to adopt or furry friend, that's no problem. I'd be glad to help you find a home with more room. Off the subject of real estate for a moment, I wanted to take just a moment and thank the Lutcher Theater and the caring, generous patrons who contributed over 6900 pounds of dog food to the Southeast Texas Humane Society. Last weekend the Lutcher Theater, located in Orange, TX, held two performances of the play, "Annie". This famous play about orphans gave patrons a wonderful chance to help some other orphans in our area. The cute, adorable orphans of the Southeast Texas Humane Society. Mr. Clark of the Lutcher Theater gets all the well deserved praise for the idea. Any patron who brought in a 30 pound bag of dog food was given a stuffed animal resembling the dog in the well-known play. Not only did they raise over 6900 pounds of dog food, the theater also donated $2500 to help the humane society care for the animal orphans of Southeast Texas. Puppies from the Humane Society, played with children and adults prior to and after each performance. At any given time the Humane Society has up to 180 animals in its care. If you are looking for a wonderful new animal companion remember to visit the Humane Society. You too can give an orphan a home.